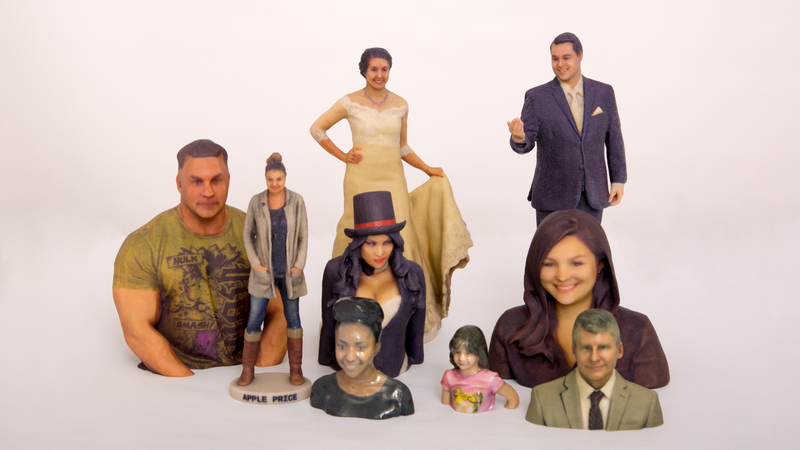 3DLIRIOUS – 3D Portrait Scanning, Full Color 3D Printing, & More! 3D Portait Scanning, Full Color 3D Printing, & More! Made from your 3D Scan! Custom Bodies, Superheros, and More! 30% off Full Length Figures through the end of May! Please call, text, or fill out a submission form to set an appointment! DE·lir·i·ous – wildly excited, especially with joy or enthusiasm. 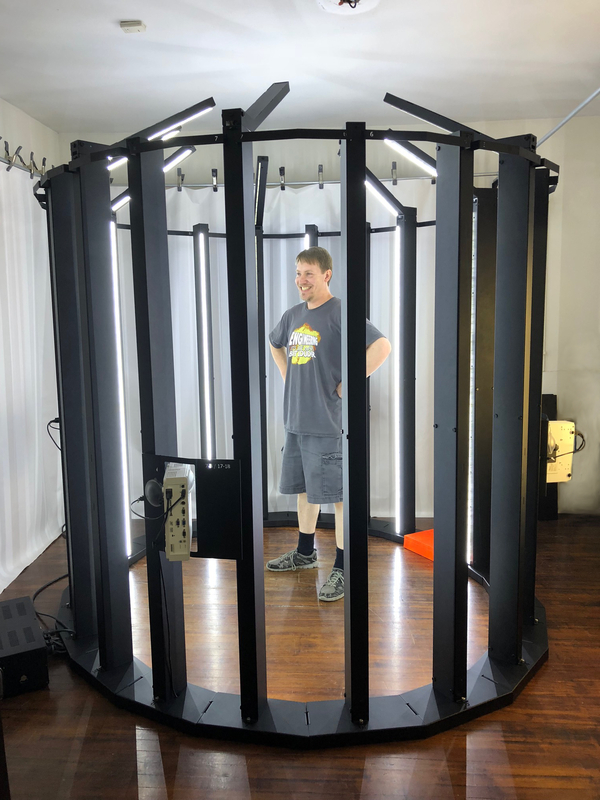 3D·lir·i·ous – wildly excited about 3D scanning and 3D printing! 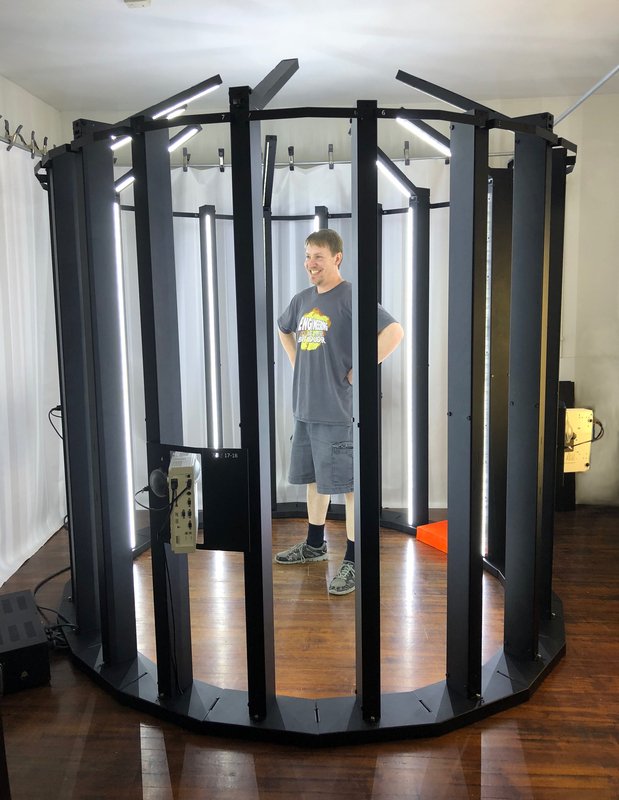 3DLirious is a 3D Studio in the heart of the Dallas / Fort Worth Metroplex in Texas, USA – in the center of Arlington just blocks away from AT&T Stadium, Globe Life Park, and Downtown. 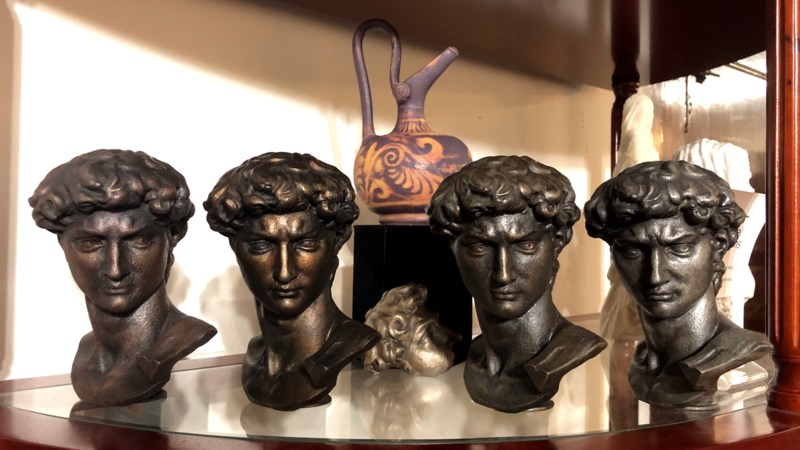 We combine art and engineering, using cutting edge technologies such as 3D scanning and 3D printing to form deLIRIOUSly wonderful and unique creations! 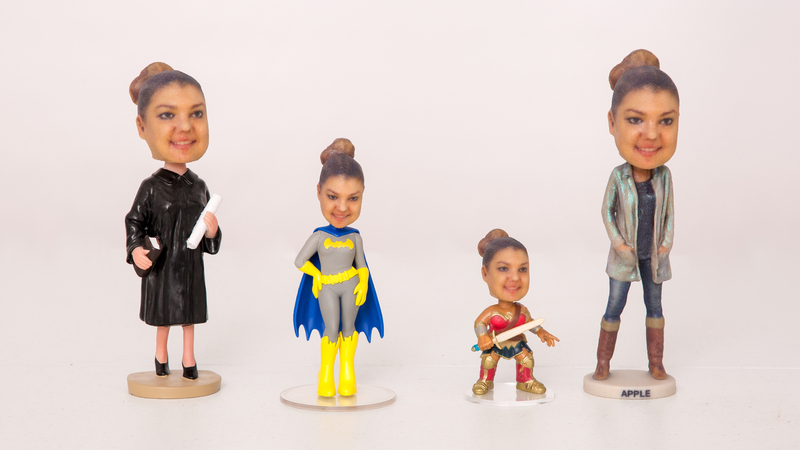 Specializing in making custom personalized 3D printed keepsakes, including figurines, bobbleheads, doll heads, fine art and monuments, face masks, chess pieces, and more! Let our talented 3D portrait artists capture your memories in all three dimensions and preserve them for years to come. Our scanning technology for most projects uses a process called photogrammetry. Within 1-3 seconds, a set of 125 photos is taken simultaneously, followed quickly by another set of 125 while 4 projectors cast a grid pattern onto the subject to help with photo alignment. From this data and some clever software, a detailed 3D model is processed. You will need to hold still for up to 3 seconds for each scan. Please note that this means that we are now usually able to scan pets and small children (under 5). However, the pet should be able to pose, sit, or keep still for a short amount of time, or perhaps could be held by the owner. A typical scanning session for a full length scan or bust will last about fifteen minutes or so. You may want to plan on staying longer in order to view the showroom and figure out what you want to order first! Clothing with rough fabric textures and non-dark colors scan the best, such as mottled/patterned fabrics, difficult patterns, bright colors, blue jeans and linen, velour or matte leather. Shiny, reflective and transparent surfaces don’t scan well, including eye glasses, nor do glossy or transparent fabrics. Avoid sequins, tulle, chiffon, super-shiny shoes, and flashy jewelry if possible, or other items as requested at the time of scanning. 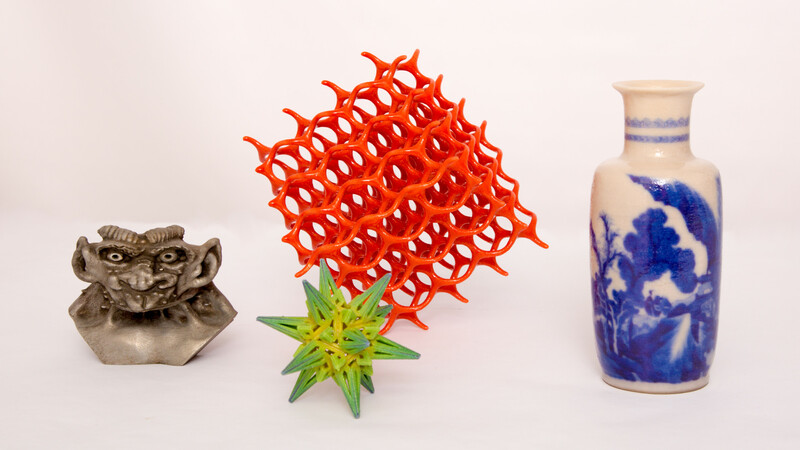 Raw scans typically have features that make them unsuitable for 3D printing, such as surfaces that are too sharp, thin, or rough, or areas that were not captured in enough detail. Difficult to scan features such as hair and some clothing can be especially problematic. Our digital artists go over each scan and correct any issues, remodeling and sculpting where needed. Color data is corrected, balanced, and repainted if necessary. To book an appointment for a scan and consultation, or if you have any questions or comments, please contact us by phone, text or email (see the bottom of the page for contact details), or using the form below.